Editor’s Note: Today’s cartoon is part of our “Comic Brake” series. 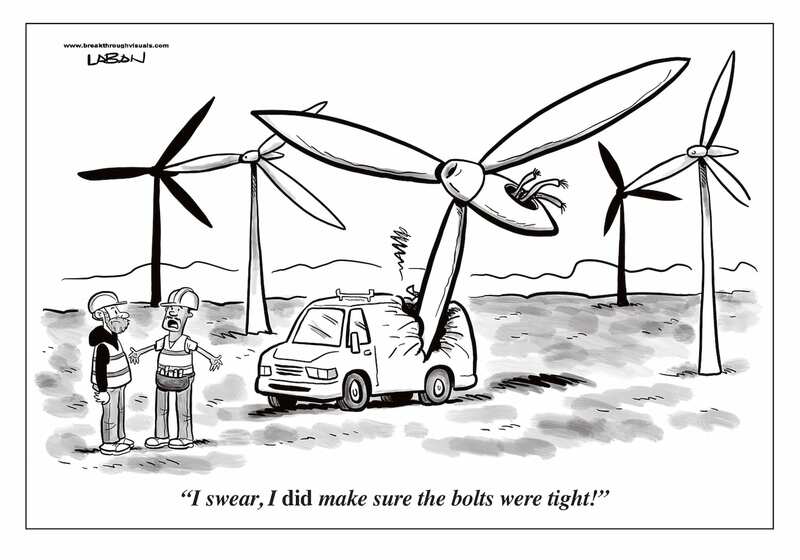 Field service management is serious business, but everybody deserves a good laugh after a long week in the field. Check back for cartoonist Terry LaBan’s next installment on FSD. Terry LaBan's cartoons and illustrations have appeared in publications like Mad Magazine, Nickelodeon Magazine and Details. His comic book series have been published by Fantagraphics books and Dark Horse Comics and he wrote a lot of stuff for DC. From 2001 to 2015, he created a daily comic strip called “Edge City,” which was syndicated by King Features Syndicate. He's tough, seasoned and he's not afraid to get his hands inky. If you need cartoons — and who doesn't? — he's definitely your guy. See more at his website, www.cartoonimpact.com.